»Whispers»Positive Winston words bring hope! Positive Winston words bring hope! 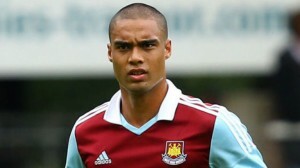 It was extremely encouraging to hear Winston Reid having a word of praise for Sam Allardyce earlier today. With so much speculation surrounding the central defender’s future no news is usually good news – so it’s great to find the exception may be disproving the rule. Football breeds more rumours than any other sport and sorting fact from fiction is usually a pretty tough call. 5/ and that he will never fully get over the ankle problem he suffered in training. The only one I believe is Number Three – that his advisory team are looking for the earth. The other four points are to some extent or other inter-related because like most players he wants to play at the highest level. However, that surely wont to happen until the player proves his fitness and if he’s going to leave at all, therefore, I reckon it will be unlikely to occur until January the earliest. However, if any other than a top six club comes in, he’s not going to get the sort of wages he’s after from anywhere else as the Hammers wage structure is on a level with most others. The ‘playing second fiddle’ argument is false because although every pro want’s first team football, they all want and need competition. So finally it’s great news that the player should say unbidden: ““The manager has been great. What with the constant bombardment of rumours both good and bad , it is easy to get carried away by wild optimism and deep despair in equal measures! A case in point is Winston. In the absence of any real news concerning the new contract extension, wild speculation has spread fear amongst our fans that a top six team is willing to whisk him away at a moments notice! This article has allowed us all some perspective in the matter! Yes, that is a balanced view. None of us want to lose Winston, he is a fine player & respected by club & supporters. Alas, modern football is also a business & no one begrudges him wanting to do the best for himself. However, life is also about being happy & he has seemed happy here & we with him. We can all name a few players that left us & later wished that they didn’t. All things must be taken into account when planning your future. I hope he stays long term. He is an asset.